Are you a commercial developer, builder or property management company in the Northeast who needs to protect the investment in your asphalt parking lot, driveway, or path? Joints or cracks in pavement, whether it is an asphalt parking lot, driveway or path, that are not sealed properly will allow dirt, water, and foreign materials to leak down through the asphalt surface. Water will increase the damage done through freezing and thawing cycles. 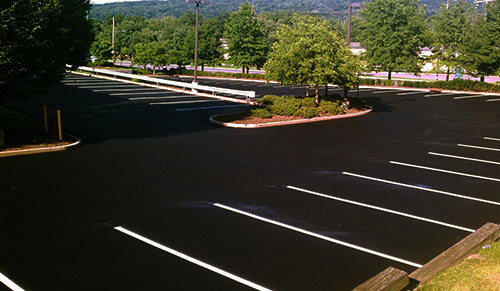 We use hot-pour rubberized crack and joint sealing products on residential, commercial, and industrial parking lots. 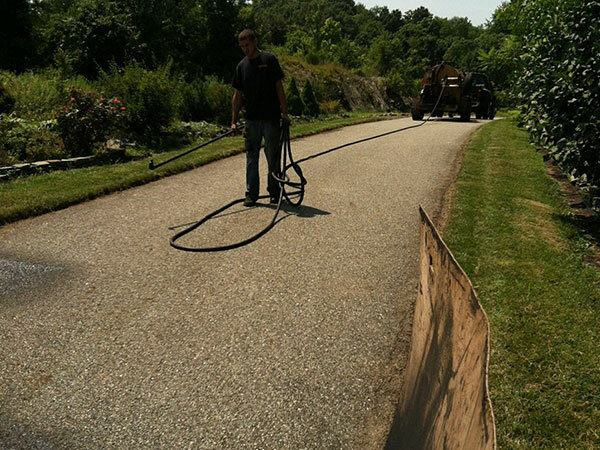 We can provide a maintenance program that will dramatically increase the life expectancy of your pavement surface. Joints or cracks sealed with hot-pour, rubberized material have been proven to out-perform cold applied and non-rubberized compounds. Although the initial application of hot-pour materials may cost slightly more, this cost is returned in the added years of pavement life. Asphalt pavements, like existing asphalt parking lots, driveways, or paths that are not properly maintained, will be exposed to harsh elements that create costly repairs, and will reduce the life of your pavement. Properly sealcoated asphalt surfaces are protected by providing a durable coating that safeguards against these harsh elements. 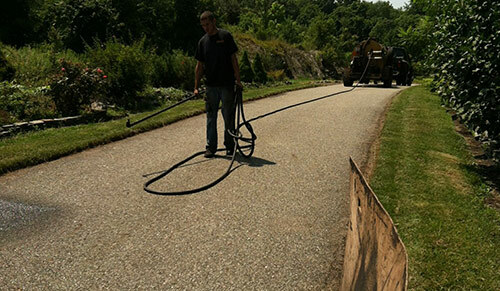 Sealcoating can be applied for a fraction of the cost of repairing or replacing an existing asphalt surface. Sealcoating is an economical way to safeguard your asphalt investment. Effective seal coating maintenance programs can extend the life of asphalt and avoid costly repairs. We specialize in coal tar sealant application. Our equipment is capable of mixing and applying materials containing up to 6-10 lbs. of additional aggregates per gallon in a uniform and even coat, which is essential to proper curing. Quality asphalt striping is the finishing touch to a newly paved parking lot, driveway, or path, or to freshly sealcoated asphalt surfaces. It is essential that parking spaces be laid out competently and that all local and current ADA ordinances are followed. Our striping services include: new layouts, re-stripes, blacking out unnecessary lines or markings, signs, sign posts, lettering, numbers, painting curbs and special markings for schools, playgrounds, businesses, and indoor industrial applications. We use Federal spec paint with airless striping machines for sharp edged lines with minimal overspray. Please fill in form below for your no-obligation free quote.